I've never known a child that hasn't loved their hand being traced. 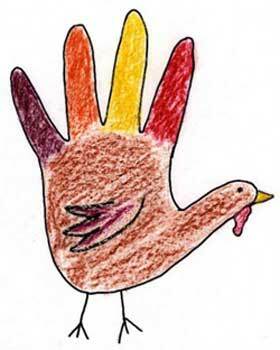 There is just something so cool about seeing the shape of your hand transferred onto paper and being able to create it into something like a turkey. I love this activity because with a little creativity anything can be created. You can use crayons, colored pencils, paint, or even use different materials to create different textures (features, glitter, pasta, rice).